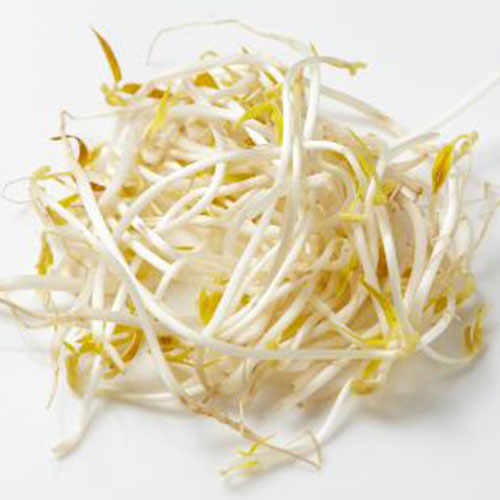 The antioxidant content of different seed, grain, and bean sprouts is dramatically increased compared to their respective non-sprouted forms. Alfalfa sprouts are not recommended due to Salmonella food poisoning risk; broccoli sprouts are considered both safer and more nutritious to eat. Growing broccoli sprouts may be one of the most cost-effective ways to improve your diet. Cutting, chewing, or chopping raw broccoli or broccoli sprouts releases sulforaphane, which may help boost the detoxification enzyme systems in our liver. Broccoli sprouts seem to be both anti-inflammatory and anti-carcinogenic, and are more effective than broccoli supplements. Too much broccoli sprout intake—likely up to four cups a day—may cause DNA damage.